H E Y B E A U T I E S ! Today I’m coming with you my review/ first impression of the Luminous Air Legend System. It may come as a surprise to you that even though I’m a Professional Makeup Artist, I’ve never used an airbrush system of any kind. So when Luminous Air reached out to me, I had try it out for myself. I’ve been so curious for so long. Flawless finish with out the appearance of cakey makeup. Great for covering unwanted scars/birthmarks, tattoos, etc. 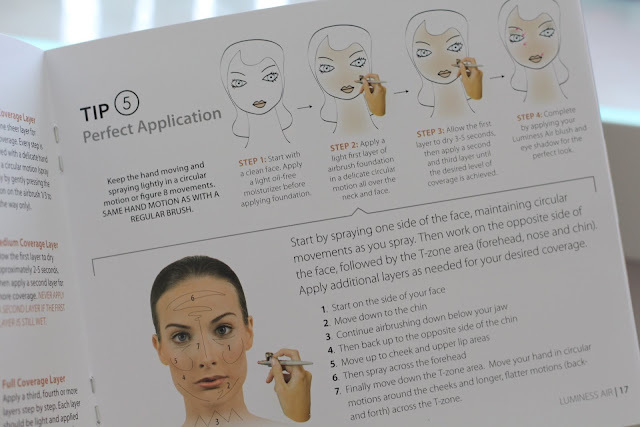 I must say, this has completely changed the way I view airbrush makeup. It wasn’t as bad as I thought it would be. I thought it would be super blotchy, itchy (not sure why I thought that), and extremely hard to use. It was the complete opposite. When you first open the box and take everything out, I felt extremely overwhelmed. I didn’t know where to begin. However, in the box, you will also find a guide to help you get started and boy was it a life saver. 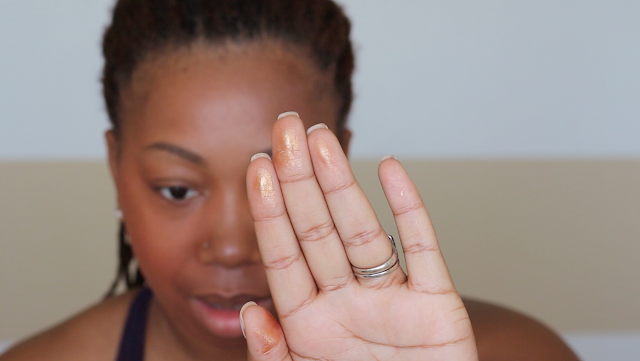 NOTE: PLEASE focus on the swatch of the bronzer on my finger tips. If you look at my face, it will scare you because (I didn’t get to the cons yet to mention that) the foundation shades I received did not match my skin tone at ALL. I’ll get to that in a minute. For now, we are talking about this bronzer and once again, it is LIFE! Not horrible, but If I had the right shade foundation, I would have loved it! Also, I did add some of the bronzer to the tip of my nose here. Its just subtle and pretty! 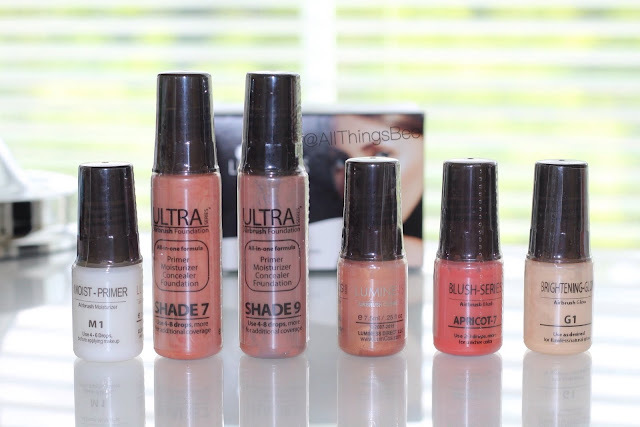 Foundation Shade 7 was too red, and Shade 9 was too dark. I tried mixing them and it only made it worse. I’m sure if the foundations matched I would have had an over all positive review. I also found that this system might be perfect for summer time! While applying the foundation, there’s a cooling sensation to the skin. I usually get hot while I’m applying makeup during this time of year, but the airbrush system kept me cool making the application process that much better. I don’t wear makeup in the summer much at all, but if I do, I will definitely be reaching for this system and most definitely the bronzer. 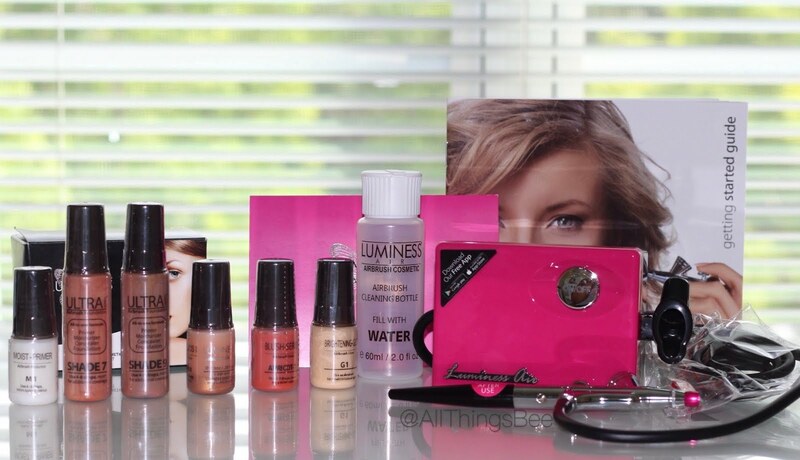 The Luminous Air Legend Airbrush System may be for you if you are looking for a quick, light weight application. Its one tool, and would take up less space then your average kit. I’m not going to lie, its going to take some getting use to, like everything else you’d pick up. However, even though my application wasn’t perfect, it also wasn’t as difficult as I imagined it would be. You can purchase the Luminous Air Legend System for $249. If you use my Discount CODE: 437765915 you’ll get 20% off your order! This will be a bit of an investment, so I would definitely take advantage of the discount code. I hope this post was informative. The more I use it, the better I’ll get at it. I’ll be sure to update you all if my review of this product has changed. Would you use an Air Brush system? Have you before? I would love to hear about your own experiences down below in the comments.